Crystal Clear FM & DAB Radio! 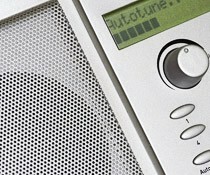 Are you fed up with your radio buzzing and crackling in Manchester? Then you need the help of our aerial installation experts right away! Our FM and DAB radio aerial installation team cover all of Manchester with a range of competitively priced services and can help with installation and repairs in your home. In addition to FM and DAB radio, we can also assist with TV aerials to turn your home in Manchester into the ultimate entertainment centre. Call our radio installation experts! Enjoy clear and crisp FM or DAB radio signal by contacting our Manchester based aerial installation team today. If you need a free estimate from us, just call and ask our friendly team and they'll be more than happy to assist with your enquiries. The number to dial is Manchester 0161 433 8292 to get assistance from our professional team of TV and radio aerial fitters, so what are you waiting for? Call us now! We're waiting for your call today!